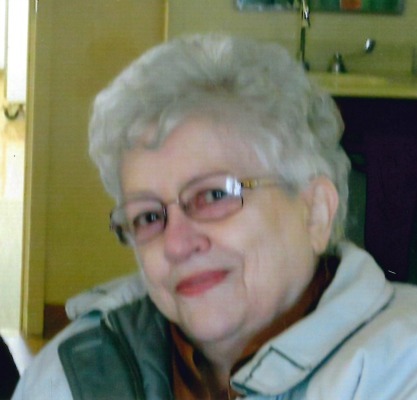 Dolores “DOATS” Benedict Hohenadel, 88, passed away into God’s loving hands on Tuesday, July 24th, 2018 at Hamilton Arms in Lancaster, PA. She was the wife of the late John “Sonny” C. Hohenadel Sr. for over 50 years. She was born in Lancaster, PA on November 27th, 1929 to William P. and Miriam M. (Rutter) Benedict. Dolores was a 1948 graduate of J.P. McCaskey High School and a member of St. Anthony of Padua Catholic Church. She spent much of her career with Lancaster Newspapers. Her interests included; pencil drawings, bowling on Saturday nights, crocheting afghans and doilies, and sending birthday and greeting cards. At the age of 14 she was given a Brownie Box Camera and photography became her life’s love. Dolores is survived by two sisters; Willaline “Billie” Charles of Lancaster and Joan LeDoux of Wichita Falls, TX; a sister-in-law Mary (May) Benedict of Willow St; three sons, John C. “Jack”, Jr. (husband of Cheryl A. ), Bradford L. “Brad” (husband of Dawn M.), and William W. “Bill” (companion of Brenda West); 8 grandchildren and 12 great-grandchildren with one more on the way. She was preceded in death by a brother, Don A. Benedict. If asked, she would tell you her greatest accomplishment was raising her three sons. She always enjoyed spending time with her family. Relatives and friends are respectfully invited to attend a Funeral Service at DeBord Snyder Funeral Home & Crematory, 141 East Orange Street, Lancaster, PA 17602 on Wednesday, August 1, 2018 at 11:00 AM with the Rev. Dr. James Haun officiating. Friends may greet the family from 10:00 AM until the time of the service. Interment will be in Riverview Burial Park. In lieu of flowers, contributions may be sent to the American Cancer Society, 314 Good Drive, Lancaster, PA 17603. So sorry for your loss, may she rest in peace! Comfort to all your family and you Billy you are in my heart!!! I love that photo as it captures the essence of her sweetness. My heart aches for the three of you as you prepare her resting place. I remember the ache of losing both parents so close together and the overwhelming feelings and thoughts of being an orphan in my mid 50’s. You may have those thoughts too as you grieve. There are no replacements for those who have loved us so unconditionally!! My thoughts and prayers will be with and for you three and your families . So sorry I cannot attend, I love you all! My Deepest Sympathy To The Family. I Was One Of Her Coworker At Lancaster Newspaper . I Worked With Her All That Time .She Told Me Ones That Of All That People That Worker With Her I Was That Only One That Stay With Her . I Like Working With Her . I Will Miss Her .